G. Shankaranarayanan (Shankar) obtained his Ph.D. in Management Information Systems from The University of Arizona, Eller School of Management. His research interests cover three primary areas: (1) Modeling and managing data and metadata in information systems, (2) Managing data quality for decision support, and (3) economic perspectives in data management. His research has appeared in journals including Journal of Data Management, Decision Support Systems, Communications of the ACM, Communications of the AIS, Journal of Information Technology Management, Journal of Computer Information Systems, International Journal of Information Quality, and IEEE Transactions on Knowledge and Data Engineering. His research has won the best paper awards at the International Conference on Information Quality (ICIQ) and at the Workshop of Information Technology and Systems (WITS). He serves as the Area Editor of the International Journal of Information Quality and as an Associate Editor of the ACM Journal for Data and Information Quality. 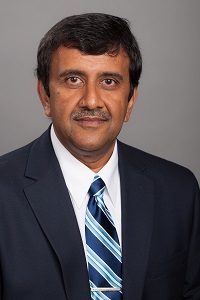 Shankar has taught several courses ranging from introductory courses in information systems to advanced courses in data management and systems design. He received the Computer World Laureate honor from the Computer World Honors Program in 2008. Shankaranarayanan, G., Even, A., Berger, P.D. (2015). A decision-analysis approach to optimize marketing information-system configurations under uncertainty. Journal of Marketing Analytics. Vol: 3, Issue: 1, Page: 14-37. Palgrave Macmillan Ltd..
Joglekar, N.R., Anderson, E.G., Shankaranarayanan, G. (2013). Accuracy of Aggregate Data in Distributed Project Settings: Model, Analysis and Implications. ACM Journal of Data and Information Quality. Vol: 4, Issue: 3. Association for Computing Machinery, Inc..
Su, Y., Shankaranarayanan, G., Talburt, J. (2013). A Process-oriented Methodology for the Assessment of Medical Information Quality in Chinese Hospitals. Advances in Information Sciences and Services. Vol: 5, Issue: 3, Page: 223-233. Advanced Institute of Convergence Information Technology. Blake, R., Shankaranarayanan, G. (2012). Discovering Data and Information Quality Research Insights Gained through Latent Semantic Analysis. International Journal of Business Intelligence Research. Vol: 3, Issue: 1, Page: 1-16. I G I Global. Shankaranarayanan, G. (2009). A Decision-Analysis Approach for Optimizing Design Alternatives in Information Systems. Advances in Management. Vol: 2, Issue: 10, Page: 31-37. Watts, S., Shankaranarayanan, G., Even, A. (2009). Data Quality Assessment in Context: A Cognitive Perspective. Decision Support Systems. Vol: 48, Page: 202-211. Elsevier. Shankaranarayanan, G., Even, A. (in press). Utility Cost Perspectives in Managing Data Quality. Journal of Computer Information Systems. International Association for Computer Information Systems. Even, A., Shankaranarayanan, G., , . (in press). Dual Assessment of Data Quality in Customer Databases. The Association of Computing Machinery (ACM). Gaynor, M., Shankaranarayanan, G. (2008). Implications of Sensors and Sensor-Networks for Data Quality Management. International Journal of Information Quality. Vol: 2, Issue: 1, Page: 75-93. Inderscience. Shankaranarayanan, G., Iyer, B.R. (2008). Managing Knowledge for Decision Support in the Digital Enterprise. Effective Executive. Vol: XI, Issue: 6, Page: 30-36. Institute of the Chartered Financial Accountants of India (ICFAI). Shankaranarayanan, G., Even, A. (2008). Synergistic Benefits of Dual Assessment of Data Quality. Journal of the Institute of Scientific and Technical Information for Cooperation. Vol: 1, Issue: 4. ISTIC. Gaynor, M., Myung, D., Hashmi, N., Shankaranarayanan, G., Moulton, S. (2007). An Intelligent Pre-Hospital Patient Care System. International Journal of Electronic Healthcare. Vol: 3, Issue: 1, Page: 107-122. Inderscience. Even, A., Shankaranarayanan, G., Berger, P.D. (2007). Economics Driven Data Management: An Application to the Design of Tabular Datasets. IEEE Transactions on Data and Knowledge Engineering. Vol: 19, Issue: 6, Page: 818-831. IEEE . Cai, Y., Shankaranarayanan, G. (2007). Managing Data Quality in Interorganizational Data Newtorks. International Journal of Information Quality. Vol: 1, Issue: 3, Page: 254-271. Inderscience. Even, A., Shankaranarayanan, G. (2007). Utility Driven Assessment of Data Quality. The DATA BASE for Advances in Information System. Vol: 38, Issue: 2, Page: 75-93. ACM - SIGMIS. Even, A., Shankaranarayanan, G. (2007). Utility Driven Configuration of Data Quality in Data Repositories. International Journal of Information Quality. Vol: 1, Issue: 1, Page: 22-40. Inderscience. Grewal, D., Roggeveen, A.L., Shankaranarayanan, G. (2015). Marketing and ITS Integration - Developing the Next Generation Managers: Evolving Entrepreneurial Education: Innovation in the Babson Classroom. Page: 139-158. Emerald Group Publishing. Blake, R., Gordon, S.R., Shankaranarayanan, G. (2012). The Role of Case Based Research in Information Technology and Systems: Information Systems Research and Exploring Social Artifacts: Approaches and Methodologies. Vol: 1st, Page: 200-220. IGI Global. Shankaranarayanan, G., Stoddard, D.B., Gilleran, R. (2017). Digital Brand Strategy Project - a project for a ITM course: Digital Brand Strategy Project - a project for an ITM course. Americas Conference on Information Systems. Shankaranarayanan, G., Blake, R. (2015). Data and Information Quality: Evolving Themes and Research Trends: Proceedings of the Twenty-first Americas Conference on Information Systems. Association of Information Systems (AIS). Shankaranarayanan, G., Zhu, B. (2014). Ensuring Positive Impact of DQ Metadata: Implications for Decision Support: Proceedings of the Twentieth Americas Conference on Information Systems (AMCIS 2014). Association of Information Systems (AIS). Shankaranarayanan, G., Zhu, B. (2012). Data Quality Metadata and Decision Making: proceedings of the 45th Hawaii International Conference on System Sciences (HICSS-45). Hawaii International Conference on System Sciences. Shankaranarayanan, G., Joglekar, N., Anderson, E.G. (2012). Improving Data Accuracy in Inter-Organizational Data Exchange: Proceedings of the 5th International Conference on Information for Cooperation (COINFO 2012). Page: 311-*325. Shankaranarayanan, G., Iyer, B.R., Stoddard, D.B. (2012). Quality of Social Media Data and Implications of Social Media for Data Quality: Proceedings of the 17th International Conference on Information Quality (ICIQ – 2012). Page: 311-325. Shankaranarayanan, G., Even, A. (2009). Measuring Data Quality in Context: Handbook of Research on Innovations in Database Technologies and Applications. Idea Group. Shankaranarayanan, G., Zhu, B., Cai, Y. (2009). DQ Metadata for Decision Making: Pitfalls and Possibilities: Proceedings of the International Conference on Information for Cooperation (COINFO 2009). Even, A., Shankaranarayanan, G., Berger, P.D. (2009). Inequality in Utility of Customer Data: Proceedings of the Direct / Interactive Marketing Research Summit. Even, A., Shankaranarayanan, G., Berger, P.D. (2009). Tradeoffs in Managing the Quality of Marketing Data. Shankaranarayanan, G., Zhu, B., Cai, Y. (2009). Visualizing Data Quality Metadata for Decision Support: Proceedings of the Americas Conference on Information Systems (AMCIS). Even, A., Shankaranarayanan, G., Berger, P.D. (2008). The Impact of Utility-Cost Tradeoffs on the Design of Data Management Environments: Handbook of Research on Modern Systems Analysis and Design Technologies and Applications. Idea Group. Even, A., Shankaranarayanan, G. (2008). Comparative Analysis of Data Quality and Utility Inequality Assessments: Proceedings of the European Conference on Information Quality. Shankaranarayanan, G., Zhu, B., Cai, Y. (2008). Decision Support with Data Quality Metadata: Proceedings of the International Conference on Information Quality. Even, A., Shankaranarayanan, G. (2008). Impartial versus Utility-driven Assessments of Data Quality: Methodology, Insights, and Implications for CRM: Proceedings of the International Conference on Information Logistics (ICIL). Shankaranarayanan, G. (2008). Managing Data Quality and Time Span Coverage for CRM: Proceedings of the Direct / Interactive Marketing Research Summit. Even, A., Shankaranarayanan, G. (2007). Differentiating between Impartial and Utility-Driven Quality Assessments in Large Datasets: Proceedings of the International Conference on Information Quality (ICIQ-2007). Even, A., Shankaranarayanan, G., Berger, P.D. (2007). Economics Driven Design of a Data Warehouse: Proceedings of the Design Science Research in Information Systems and Technology (DESRIST 2007). Even, A., Shankaranarayanan, G., Berger, P.D. (2007). Inequality in the Utility of Data and its Implications for Data Management: Proceedings of the 17th Workshop on Information Technology and Systems (WITS). Zhu, B., Shankaranarayanan, G., Cai, Y. (2007). Integrating Data Quality Data into Decision Making Process: An Information Visualization Approach: Proceedings of the 12th International Conference on Human-Computer Interaction (HCI 2007 International).